Well, it appears that Martell have been very busy of late, with the launch of three new Cognacs. These are The Martell NCF Non Chill Filtered Cognac, The Martell VSOP Aged in Red Barrels Cognac, and the Martell Cordon Bleu Intense Heat Cask Finish Cognac. Let’s take a look at each of them in a little more detail. Martell have created a ‘first’ for the house with Non Chill Filtered, their first ever Cognac to be filtered at room temperature. And the reason? To specifically preserve the aromas and ‘feel’ on the mouth when served over ice, as a long drink, or in a refreshing cocktail. It’s certainly eye-catching, being cleverly presented in a metallic, copper-coated bottle that reflects the light: ideal for being on display in a dimly lit bar or club. 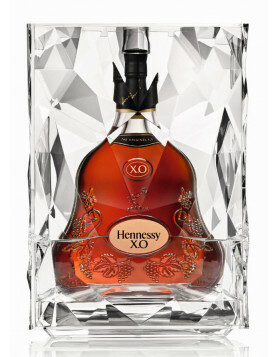 It’s a funky design, with the bottle being transparent at the base so you can see the Cognac, and then translucent at the top. The label itself is also transparent, and is crisscrossed with ‘glow in the dark’ white lines. 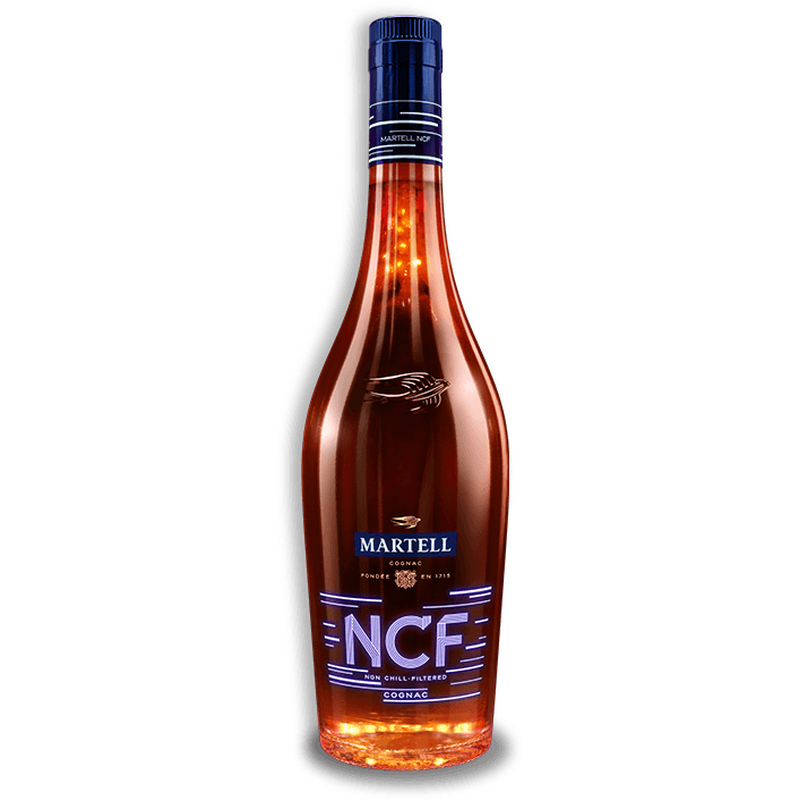 Appropriately, one of the tag lines for Martell NCF Non Chill Filtered Cognac is, ‘Turn The Lights Off’. Martell also designed two specific serving rituals to go with the launch: The Martell Ice Pool and the Martell Frappe. The first is a two-tier ice tray that releases and icy blue mist, with two shot glass of NCF. When a tabis is pulled the shot glasses fall to the tier below, which hold ice filled glasses and mixers. Martell Frappe has a cocktail shaker that lights up when being shook. Taste wise, expect a decidedly fruity journey–from grapefruit and citrus peel on the nose through to apricot jam, vanilla, and mandarin on the palate. Discover more about Martell NCF in our online shop. Here is a very new one, as it seems. We admit we don’t know THAT much yet about this new Martell product. 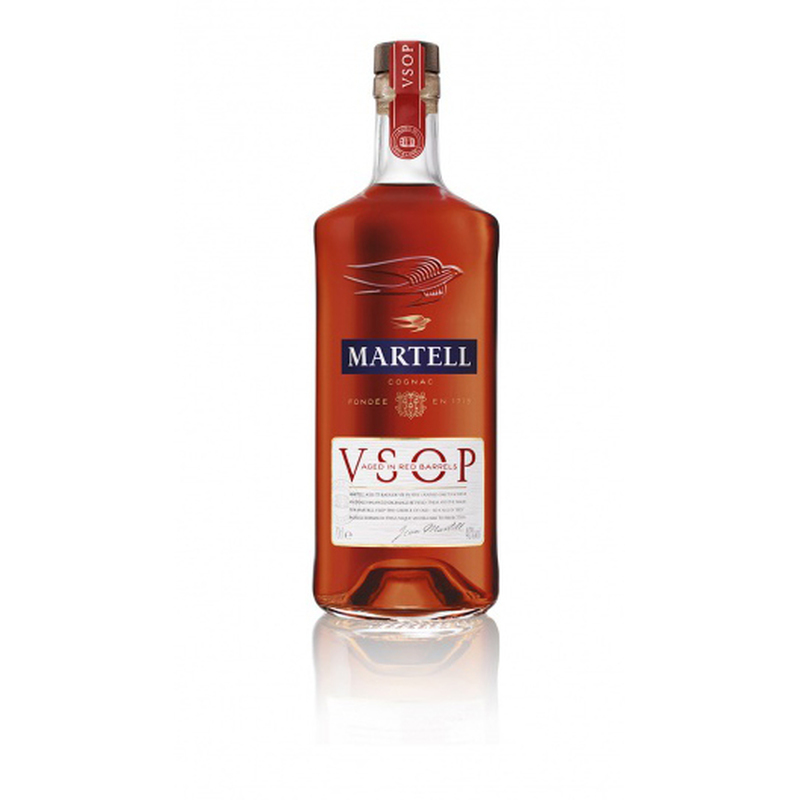 The Martell V.S.O.P Aged in Red Barrels Cognac has the USP of being aged in red oak barrels, or ‘barricas rojas’. Elegant and balanced, this VSOP quality is both intense and fruity, with a somewhat ‘woody’ background. 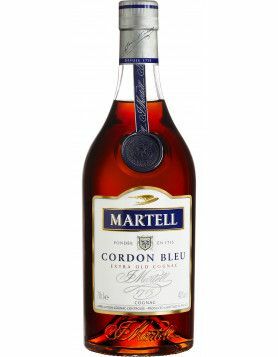 OK, so the Martell Cordon Bleu Intense Heat Cask Finish Cognac isn’t so much new, but that it’s only just coming to the attention of people in the West. It was actually launched for the Chinese New Year of 2017, and was available only through travel retail at selected Chinese and Malaysian airports. This Cognac provides a subtle new angle to the classic Cordon Bleu, and utilizes a brand new, first time ever finishing process for a Martell Cognac. This is done by toasting the casks that hold the eaux-de-vie for its last six months of its aging process. And this toasting of the casks has a profound effect on the taste of this limited edition Cognac. It intensifies the fruit and spice aromas and taste, leading to a ‘fruity citrus sweetness, toasted nuttiness, and robust spice’. Produced in a limited edition, the Cognac is presented in a funky carton of deep blue, embossed with a golden color that represents charred wood. In addition, the pack also contains some thermochromic ‘links’ that cleverly react with body temperature, so when rubbed they glow red like embers. Delve deeper into the mystery of the Martell Cordon Bleu Intense Heat Cask Finish Cognac. 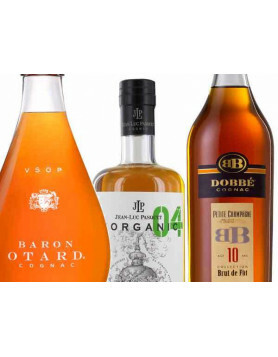 Have you tried any of these Cognacs? If so, we’d love it if you’d write a review on our website or leave a comment below. Or if you’d like to try them, be sure check them out in our online shop, where you can purchase for home delivery anywhere in the world! And if they’re not yet in stock, then we’ll send you an alert just as soon as they’re available.